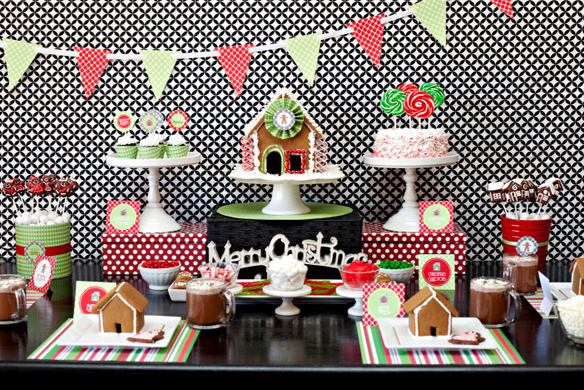 And up next, a darling GINGERBREAD THEMED CHRISTMAS PARTY submitted by Kim Stoegbauer- Party Stylist/Editor of The TomKat Studio. Oh my goodness, how sweet is this? LOVE the modern black design/backdrop behind the main party table. 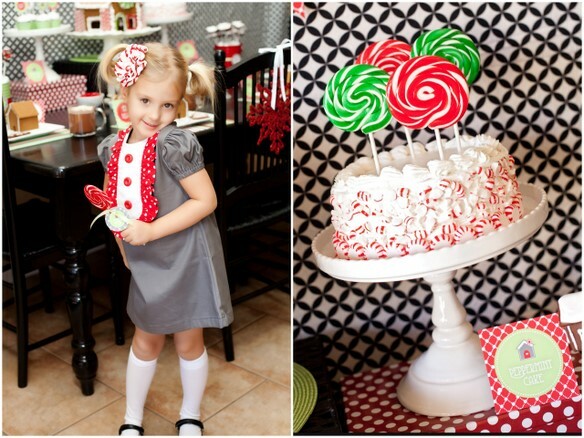 And the lollipops & crushed peppermint candy...such an easy way to spice up a store bought cake! I am always so impressed with Kim. She is so talented, and has a true eye for gorgeous detail. 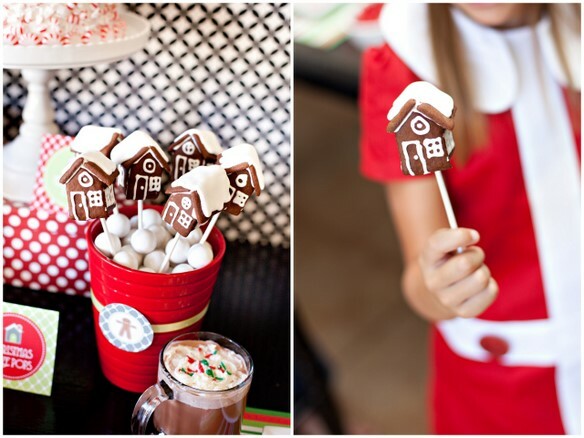 Here is what Kim said about the party- "I am so excited to share this adorable holiday shoot we recently worked on for HGTV! I designed a new full printable collection which is available for FREE download on the HGTV feature. 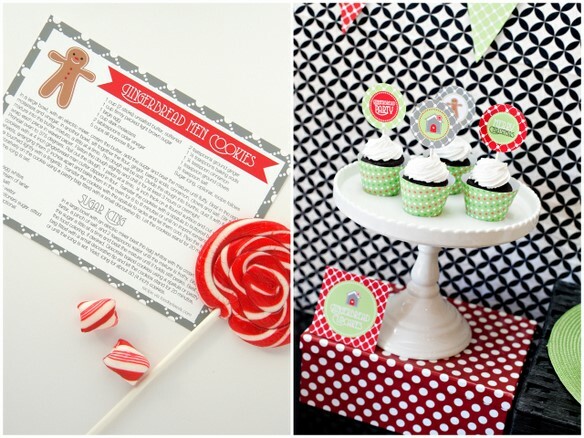 The collection includes a blank invitiation, fill-in invitation, two sets of party circles, favor tags, blank fancy labels, a pennant banner and a gingerbread man recipe card! 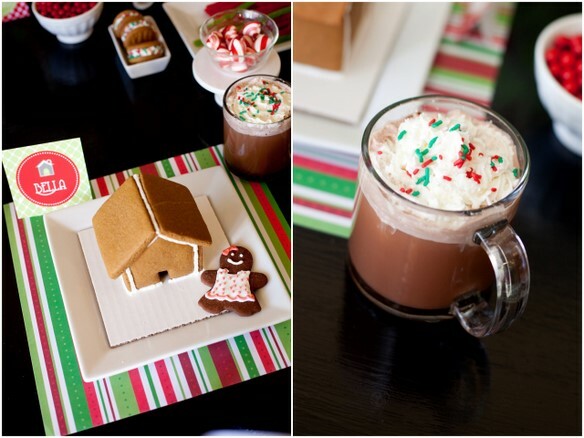 I hope you will be able to use these fun printables at your holiday gathering this year, whether it is a Gingerbread House Making Party or any Christmas themed event! Vicki (the photographer) and I had a great time with this shoot which we did at her house. 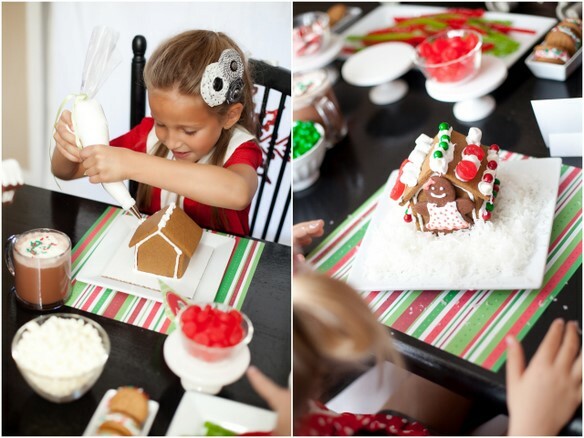 Decorating gingerbread houses is such a fun holiday tradition and our own kids had so much fun making them during the shoot!" Thank you for sharing this party, Kara! This party is beyond cute. Thanks for sharing it with us! Hi, Kara! 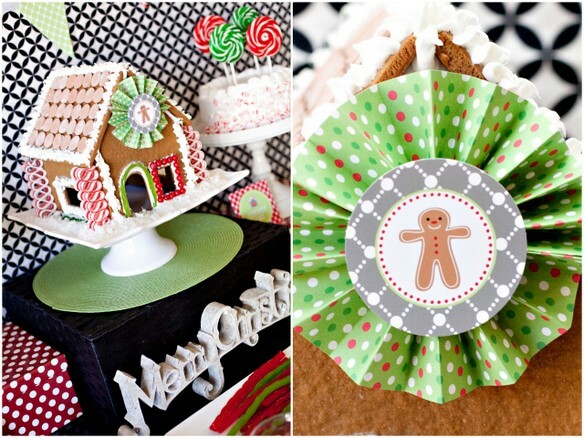 What a great idea to make gingerbread party! 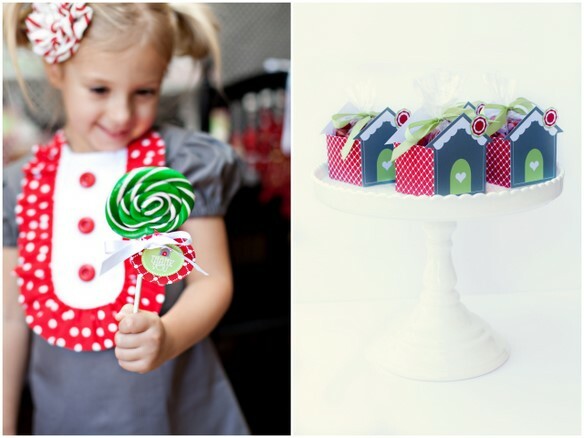 Adorable these girls in amazing dresses ( I love both :o) Love your idea to make gingerbread houses with kids!! SUPER CUTE!